Nicolas Jaar, Battles, Drew Gragg, Ben Bennett, Bohren & Der Club of Gore and more. This show was 69th in the global experimental chart. This is a Mixtape I assembled and recorded over the last couple of days. 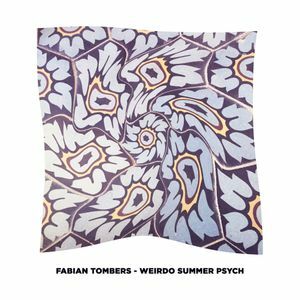 It was super hot outside and all the tunes have a sunstroked overheated psych vibe for me. I played everything from weird experimental drum exercises over dub and jazz to old school afro beat and modern electronic music. thanks! I added the Tag. Interesting and unusual, the way i like mixes to be. Thank you! I really appreciate this! next one is gonna be 100% vinyl!